Emerging with the latest ammo from her forthcoming album 'The Architect: Sacred Gemotry', NJ bred wordsmith Narubi Selah drops her first smash fro 2013 with 'Hookless 2', produced by Jesse West, who is mostly recognized from Super Cat's "Dolly My Baby" remix with Notorious B.I.G. and Diddy. Her vintage delivery coupled with a hypnotic drum pattern adds up to a flawless track and she claims that's all that's on the menu for her sophomore release. 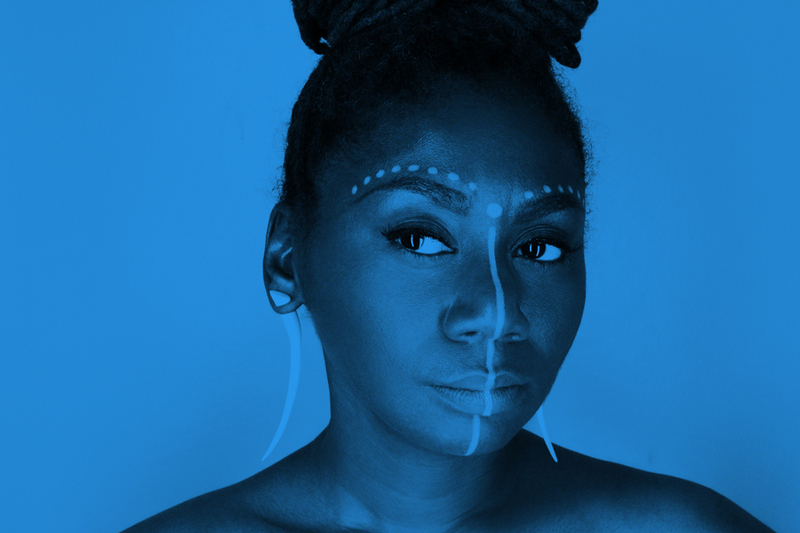 Narubi has an extensive tenure in the game, with performances under her belt with Mos Def aka Yasiin Bey, KRS One, Lauryn Hill, and many more. Her television debut on the Russell Simmons produced HBO Def Poetry Jam earned her national attention and set the stage for her first release two years later with her original chamer, 'I Am Living Math'. 'Slam Queen' Selah has raised the bar for femcees and lyrically challenged rappers alike with her verbal arithmetic and is sure to solve the lack of lyricism problem facing Hip Hop today.